Diane Peterson McNeal, Wilmington Trust, N.A. Diane is responsible for meeting the complex financial needs of clients throughout Florida, Georgia, and California plus the management of the Signature Services and M & T Securities Executive Services Private Banking Initiative. She provides strategic advice, highly personalized service, and tailored credit and banking solutions. As a Private Banking Team Leader, she and her team make the following M&T Bank services available: bridge financing, residential and investment real estate financing, and specialized asset-backed facilities secured by investments, art, yachts, and aircraft. In addition, Diane coordinates a broad range of services available through the Wilmington Trust Wealth Advisory team, including investment management, planning, trust, family governance, and family office services. Diane has more than three decades of experience in the financial services industry, with the majority of her experience being in the Florida market. Diane has been part of a wealth management team serving clients' varied wealth strategy and leverage needs for more than two decades. She served as the Alternate Group Manager of Florida Private Banking for Comerica Wealth Management prior to joining Wilmington Trust. Her lending career started with Chemical Bank (now Chase Bank) in New York as a Middle Market Lender. Diane was a Middle Market Lender, a Corporate Real Estate Lender, and then a Chief Lending Officer in the Florida Banking Market prior to moving into Private Banking. Diane holds a master's degree in Risk Management and Legal Compliance from Florida Atlantic University and a bachelor's degree in Finance and Marketing from Adelphi University. 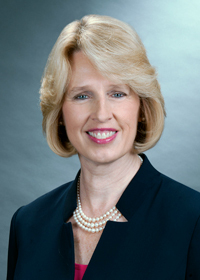 She has attended courses throughout her career on advanced lending and financial management techniques, including Cannon Trust School. Diane has presented a course on integrating Private Banking into overall wealth planning at Florida Trust School and Florida Banker's Association Wealth Conferences. Diane is the Former Chair of Florida Atlantic University's Harriet Wilkes Honors College Advisory Council, a member of the Palm Beach North Chamber Board of Directors, a member of the Town of Palm Beach United Way Allocation Committee, and a Gracey Society Member of Executive Women of the Palm Beaches.